Our second graders have been working hard on their January book reports. They were introduced to this project during library class. This book report was modeled for them as they learned how to write advertisements for their AR books in library this month. This week each student turned in their decorated bag, advertisement and items that relate to the books they read. 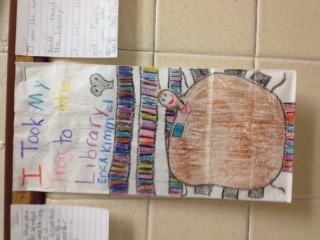 These “Bag a Book” projects were presented in their homerooms. Be sure to read all about their books as you walk by the 2nd grade classrooms.